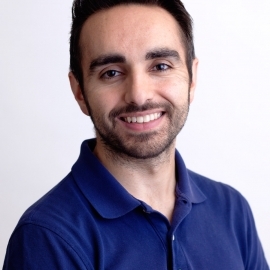 Reza received his Master’s Degree in Physical Therapy from the University of British Columbia after completing his Bachelor’s Degree in Kinesiology from Simon Fraser University in 2008. Under the mentorship of highly experienced Physiotherapists, Reza implements treatment techniques to ensure his clients achieve a successful recovery. His approach integrates a combination of manual therapy, Functional Dry Needling/IMS, and movement re-training tailored to achieve each individual’s personalized goals. His experience includes treating a variety of patients with injuries related to back, shoulder, and neck pain, as well as injuries related to athletics, repetitive strain or motor vehicle accidents. He also provides treatment for clients with jaw pain (temporomandibular disorders, or TMD). Reza works with Chena Swim Club and has worked at several soccer tournaments providing both treatment and injury prevention. In his spare time, you can find Reza swimming, hiking the mountains, or playing soccer.